Have a question for Pension Chau Chau? "Great service and very close." "Very Quite place with beautiful nearby, close to Hakuba Goryu and could take shuttle to Hakuba 47 also." "The Pension is beautiful and is well maintained." "Convenient location near Kamishiro Train Station." 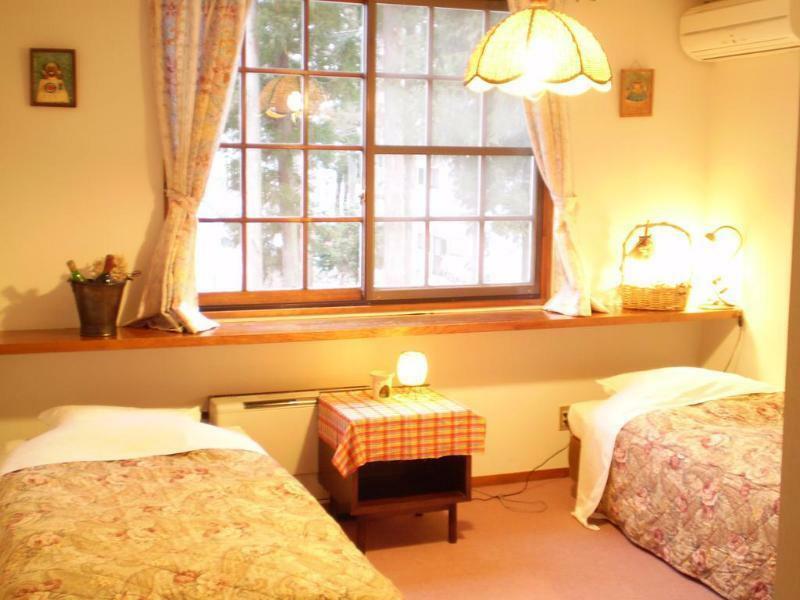 Offering quality accommodations in the sports, skiing district of Nagano, Pension Chau Chau is a popular pick for both business and leisure travelers. From here, guests can enjoy easy access to all that the lively city has to offer. For those of you who want to venture out, Hakubagoryu Takayama Botanical Garden Escal Plaza, Hakuba Goryu Ski Resort, Hakuba47 Winter Sports Park are just some of the attractions available to visitors. At Pension Chau Chau, every effort is made to make guests feel comfortable. To do so, the hotel provides the best in services and amenities. For the comfort and convenience of guests, the hotel offers free Wi-Fi in all rooms, Wi-Fi in public areas, car park, family room, restaurant. Hotel accommodations have been carefully appointed to the highest degree of comfort and convenience. In some of the rooms, guests can find television LCD/plasma screen, internet access – wireless, internet access – wireless (complimentary), air conditioning, heating. Whether you're a fitness enthusiast or are just looking for a way to unwind after a hard day, you will be entertained by top-class recreational facilities such as hot tub, sauna, skiing, massage, tennis courts. Pension Chau Chau is a smart choice for travelers to Nagano, offering a relaxed and hassle-free stay every time. "It was a very comfortable stay and a delicious breakfast." Please note that free pick up service is available from Kamishiro-station or Hakuba-station. Please kindly inform the hotel in the "Special Request" box upon booking. On the arrival day, please call the hotel from the station. Hotel's phone number is on customer's reservation voucher. From 06:00PM to 07:00PM are not allowed for this service due to the preparation for the dinner. 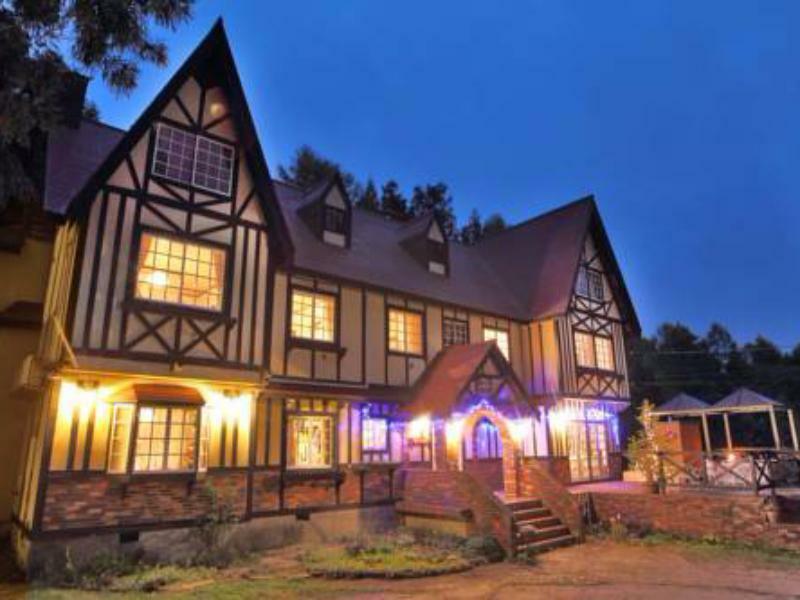 We choose this bnb due to its strategic location, (700 meter to Hakuba Goryu Ski Resort). The owner was kind enough to fetch us from Kamishiro station to this bnb . Definitely will comeback. Great accommodation, extremely friendly and helpful staff. Location is a bit far from the main and norther hills, however the shuttle buses are decent. If you are only skiing Goryu and 47 it is a great location. Lots of good restaurants within walking distance and delicious breakfast cooked by host at the lodge. The place is very cosy, clean and comfy. The only thing that is off is the toilet smell, though it’s clean - the smell is close to intolerable. When we arrived at Escal Plaza around 8 AM the parking near the building was full. We tried to call Pension Chau chau if we can park our car even if the check-in time is 3pm, the let us use there parking area. A minute walk from Pension Chau chau we rode a shuttle bus bound for Escal Plaza. The breakfast is also good and healthy. There is a baseball ground beside and the kids play with the untouched and accumulated snow. There ski and snowboard rental fee is very low, also they have 1 day pass for lift/gondola for only 3,000 yen which normally cost 5,000 yen at Escal plaza. Staffs are so nice. You could find them anytime for any inquiry. Very Quite place with beautiful nearby, close to Hakuba Goryu and could take shuttle to Hakuba 47 also. They could also pick u or send u to JR station. Would recommend it for sure. 1/ Location is everything. Pension Chauchau is close to Escal Plaza, which is major entrance of Goryu and like the base camp of skiing in Goryu and 47. This is also where you have all the shuttle buses including paid buses Line HV-3 heading to other ski areas and free buses circling around the Goryu area. 2/ easy access to Goryu. Walk 500m uphills to Escal Plaza or walk 30m to St Marute bus stop to take the free shuttle bus to Escal Plaza (every 30mins). 3/ Host Hitoshi San is very helpful and resourceful. Pick-up arrangement, discounted ski ticket, discounted onsen ticket (白馬龍神温泉) all add extra value for money. I had a very good time here. The Pension is beautiful and is well maintained. The room is spacious, as we booked a room with attached bathroom. It is about 10-12 mins walk from Kamishiro train station. Quite challenging to walk around if you have big luggage. But the owner is super nice, he picked us up from the train station. Not only that, he fetched us to the Goryu Ski Resort, to dinner place, and to Hakuba Station after we checked out from the Pension on the last day. The owner speaks decent English, no problem in communicating. For breakfast you may need to inform the owner in advance and need to pay additional, but no regret as the breakfast is great! You may get discount day pass from the owner too. Overall, highly recommended if you would like to stay in a peaceful area. By the way, there's a small restaurant near the Pension called "Pizzakaya", they served very good western dinner, recommend to try it! The owners go above and beyond your expectations. They are available for any request. They will shuttle you to the mountains and cook you delicious meals. Goryu Ski resort is 5 minutes away. What more could you want?! Great service and very close. So friendly the staff were. Arigatou!! Wish we had stayed longer! Thanks for a great stay! Convenient location near Kamishiro Train Station. The couple who runs the place exude warm and are very hospitable. We took the Snow Shuttle from Narita Airport; and between the people who run the Shuttle service and the hotel, we were picked up on arrival at Kamishiro without us having to even ask. Breakfast and dinner were great. The hotel owner does all the pick up services after our outings; this is much welcome in the cold weather. Apart from pick up service, the owner always offers to drive you to places that's new to me, eg. ski resort, dinner places, hot spring. Breakfast is wonderful and delicious. The place is very clean. I would surely stay at here again if I go skiing at Hakuba Goryu. Very nice and warm owners. Always prepared to serve you. 10 minutes' walk to Goryu Ski resort and Escal Plaza. Will stay again if ski at Goryu.